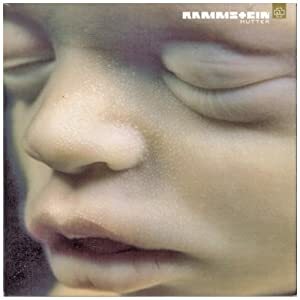 Head-banging to Rammstein. Actually, one of the beauties of the mancave is that nobody can hear me sing and I love to sing along with Till. Well it's Sunday so Black Sabbath Under Wheels of confusion box set cd . Very surprised when the postman rang the doorbell this morning and dropped off my Amazon order. Have not listened yet but have them ripped to the iPod. Cold - Year of the Spider, nothing but WAV, "The Day Seattle Died" from that album is a must if you are into hard rock! Always a test song when I go into dealers to check out new gear! Some Live Cracker dated 12/31/13. It's a 24 bit recording, that i converted to apple lossless file to stick on ipod. Its as close to a time machine as I've got! 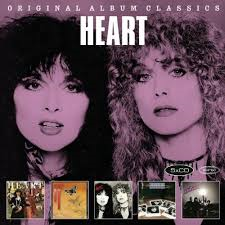 I have listened to the Heart and Point Blank CDs. 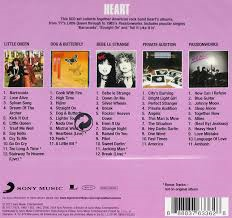 I am very satisfied with the Heart collection, the Point Blank CD (2 albums on one CD) has a handful of good songs but overall it is not something I will want to listen to much and probably never listen from start to finish again. 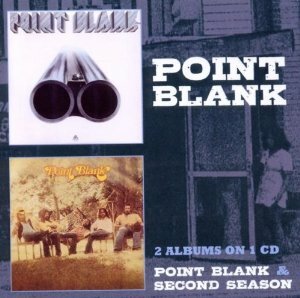 Back in ''78-79ish time frame I had a Point Blank album (The Hard Way) that had a screw and nut on the cover and i really liked it. There is a CD available but it is outrageously expensive. 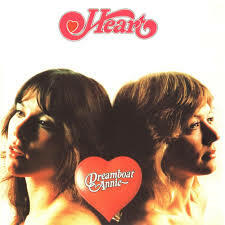 I think about getting it from time to time but I am afraid my love for the album may have as much to do with the time/place/people I was with than the music. I only remember Nicole from Point Blank's American Excess album. That takes me back to a time when The Kings were Switching to Glide. You guys Rock!